It’s March, but you wouldn’t know it. Snow is still piled like a castle battlement along the driveway. The once crisp, glossy seed catalogs with their pages of beautiful green foliage and sunshine have been read so many times over this seemingly endless winter, their pages are now torn and tattered. 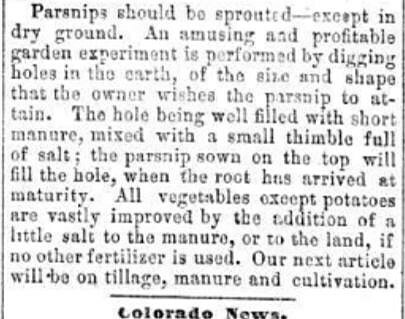 Springtime yard and garden cleanup seems so far off I have resorted to researching gardening subjects in old newspapers to lift my spirits. Interestingly, there was time when actual packets of seeds, not just catalogs, arrived in the mail. Free! The Commissioner of Patents, a fellow named Henry Ellsworth, estimated it would only take a short time and a couple of staffers to collect and distribute the seeds. It turned out to be a bit of an underestimation. Over the next few decades, domestic contributions to the seed project, enhanced by collections from the foreign diplomatic corps, swamped the Patent Office. 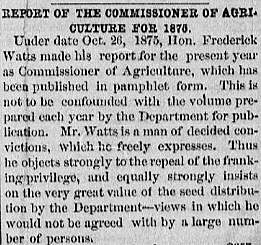 In the fall of 1875, Agriculture Commissioner Frederick Watts announced that 2,221,532 seed packages had been sent out that year. 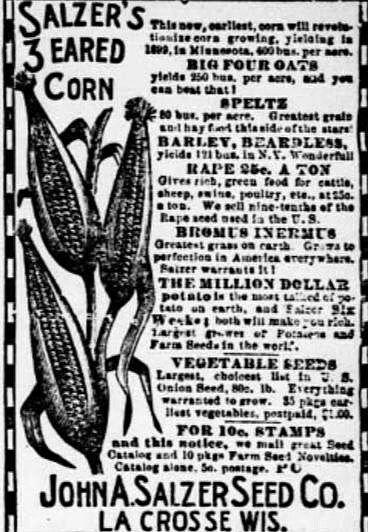 By the 1880s, when the project was transferred to the Department of Agriculture, each member of the House and Senate was being given thousands of seed packets to send to constituents. At the turn of the century, the government was distributing an estimated 1 billion packets of seeds. Imagine today receiving some Tester tomato, Gianforte garlic or Daines dill seeds in the mail. There were private seed companies back in the day, but given the free seed distribution program by the government they had a tough time staying in business. Eventually, under growing pressure from the private sector, the USDA program was shut down in 1924. Six years later, the Plant Patent Act became law. Today giant corporations, through patent law, pretty well dominate the seed distribution business. But heirloom seeds as well as small-scale seed-swapping still exist (check out the Missoula Public Library’s offerings). 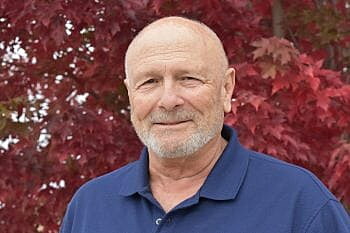 Of course, all of this talk about seeds and gardening is, well, just talk. Planting season this year, it appears, has been delayed until August. So I have a few more months to look at those pretty pictures in the catalogs.